To be built on acreage! Plan can be changed! We would love to work with you to build your perfect dream home. 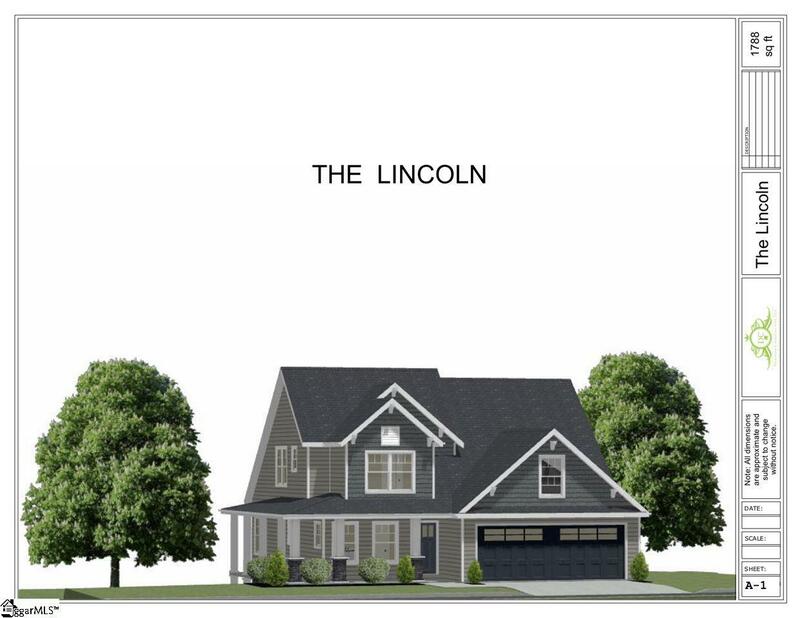 A level +2 acre lot in Fountain Inn just minutes from Simpsonville.The Lincoln house plan is a 3/2.5, two story house with the master on the main floor. A large kitchen with spacious island perfect for entertaining guest. 9&apos; ceilings downstairs with 8&apos; ceilings upstairs. Large master bathroom with separate tub and shower. Mudroom right inside from the garage. Spare bedrooms upstairs with a loft, carpet in bedrooms, tile in bathrooms, LVT in kitchen, dining, living, mudroom. Granite countertops, soft close doors and drawers on cabinets, brushed nickel finishes on plumbing and electrical fixtures. Vinyl siding, stone accents on front of home, 30 yr GAF roof system with an extended warranty available. House plan can be changed until construction starts. Act now to choose house plan, pick colors, and choose upgrades. Construction can start the week after a contract is signed.